John Cannings is a mediator with ADR Chambers. John’s areas of expertise include a full spectrum of negligence, contract, and insurance law, with an emphasis on professional liability and construction law. Since 2008 he has mediated civil litigation cases involving motor vehicle, wrongful dismissal, assault, occupier’s liability, and medical malpractice. John completed his B.A. at McGill, his LL.B. at Osgoode Hall, and was called to the Bar in 1969. He is a member of the Canadian Bar Association, the Ontario Bar Association, and the ADR Institute of Canada. He is a past member of the Advocates’ Society and was a Certified Specialist in Civil Litigation for twenty five years. He attended the ADR and Advanced ADR Workshops through the Stitt Feld Handy Group, the training division of ADR Chambers. 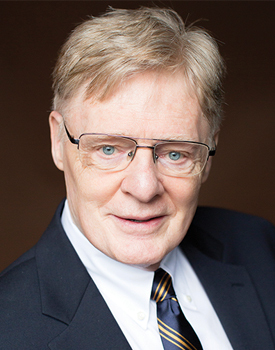 John practised law in all of the above areas for over 47 years and ran his own boutique practice for over 35 years. He now devotes all of his time to mediating. He is currently seeking qualifications as an arbitrator. He can be reached through the Toronto head office of ADR Chambers.